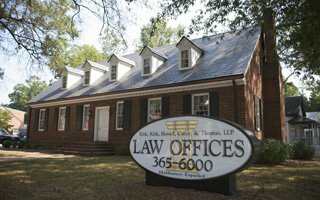 Kirk Kirk Law > Attorneys > C. Terrell Thomas, Jr.
Terrell graduated from Appalachian State University in 1991 with highest honors and earned his law degree from Wake Forest University in 1994. While in law school, Terrell was a member of the Wake Forest Law Review. Terrell joined Kirk, Kirk, Howell, Cutler & Thomas, L.L.P. in 1994. His general practice includes civil litigation, general business representation, and family law, as well as wills, estate planning, estate administration, and estate litigation. 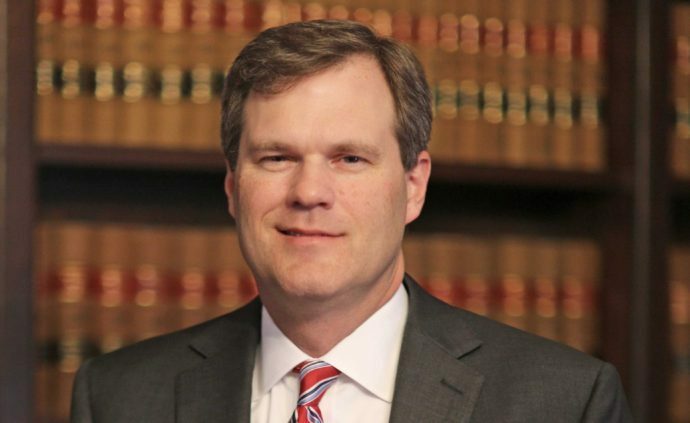 Terrell has represented both individuals and small businesses throughout North Carolina. In particular, Terrell has helped clients with their estate planning needs for over 20 years and has assisted executors and administrators with the administration of hundreds of estates throughout North Carolina. While handling a wide range of legal matters throughout his career, Terrell has earned the respect of his peers and judges. As a result, since 2005, Terrell has continuously received the highest legal and ethical rating available to an attorney. These ratings are generated through a critical assessment performed by other attorneys and judges. Terrell has reached the level of AV® Pre-eminent Peer Review Rating through the Martindale rating system, which represents the highest level of professional excellence awarded to attorneys throughout the United States. Terrell donates a substantial amount of time to help those that cannot afford legal services. He is a member of the Volunteer Lawyers Program and regularly drafts estate planning documents for those who cannot afford to pay for such important documents. From 2004 to 2009, Terrell donated his time to assist an elderly woman who was denied the right to restore and visit her family’s grave site which was located on private property. After five years of vigorous battles, Terrell won the right for his client to restore her family grave site and to regularly visit the grave site. It is this type of dedication to his clients that has allowed Terrell to build a very successful legal practice. Terrell is married and the father of three. Terrell enjoys hunting and fishing, while also staying busy with the activities of his children. He is an active Scout leader and the father of an Eagle Scout. Terrell is committed to his clients, and they are committed to him. Terrell regularly receives referrals from other attorneys and through his client base. Throughout the years, Terrell has committed himself to helping his clients to the best of his ability, no matter how minor the legal matter facing the client. This has allowed Terrell to develop long lasting relationships with his clients and allowed Terrell to continue to grow his practice each year. Terrell welcomes the opportunity to talk to you about your legal matters. Leave a Google Review for Terrell!